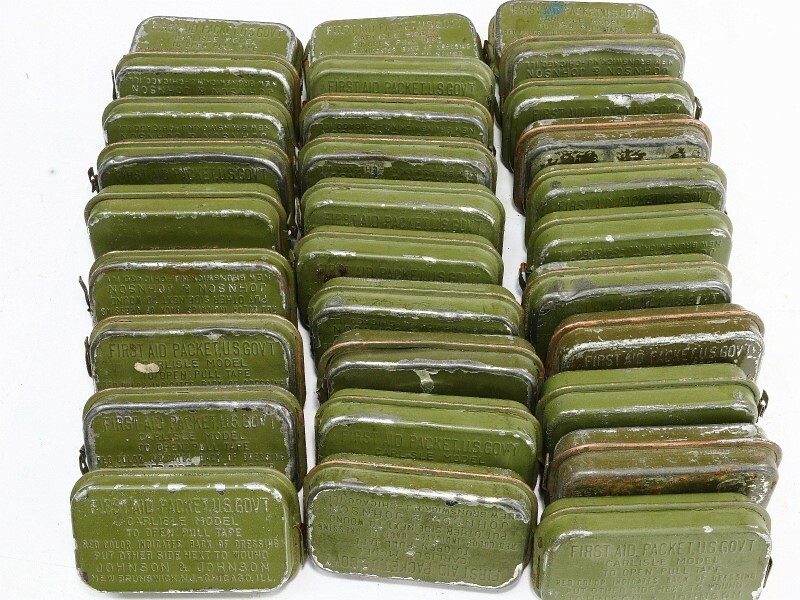 This offering is for 1 of our vintage US Military Carlisle Bandages, Like the ones pictured, all are in good looking condition are sealed in the green painted brass or copper can. These will show chipped green paint on the tin, brass and copper sardine can, minor dings or dents. Various makers, Johnson & Johnson, Bauer & Black in the mix. These are pre 1943, after that can was discontinued in favor of foil/paper wrapped packet as the brass, copper and tin was unobtainable material during wartime production. These are the post 1943 foil/paper wrapped version.